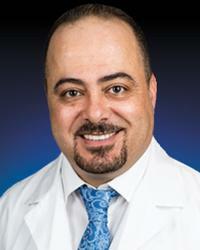 Dr. Al-Omari is fellowship trained in several heart-specific specialties. At MedStar Southern Maryland Hospital Center, he will be an interventional cardiologist, specializing in cardiac catheterization, angioplasty, stenting, and peripheral artery disease management and interventions. He is board certified in echocardiography and performs transesophageal echocardiography tests. He will treat coronary artery disease, heart attack, angina, atrial fibrillation, heart failure, cardioplumonary disease, peripheral arterial disease, hypertrophic cardiomyopathy and valvular heart disease (aortic stenosis, mitral valve stenosis). Dr. Al-Omari consults with patients at MedStar Southern Maryland Hospital Center’s Heart and Vascular Institute office in Clinton, MD. He speaks English, Arabic and medical Spanish.